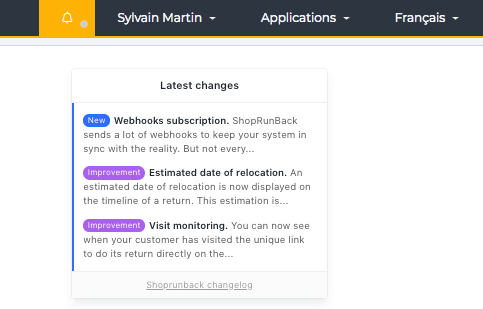 To make your life easier, our team has completely redesigned the ShopRunBack’s dashboard approach in order to improve its readability and your experience. A totally flat design with simple iconography so you can quickly identify the section you are working on. In place of the old menu, you now have access to all the Dashboard’s features through an icon menu. Each icon represents a section for reading data or setting up your account. The icon that remains yellow shows you which section you are in. This new main menu also give you more space for reading data. A brand new iconography has also appeared in your returns list so that you can see at a glance the status of each return. 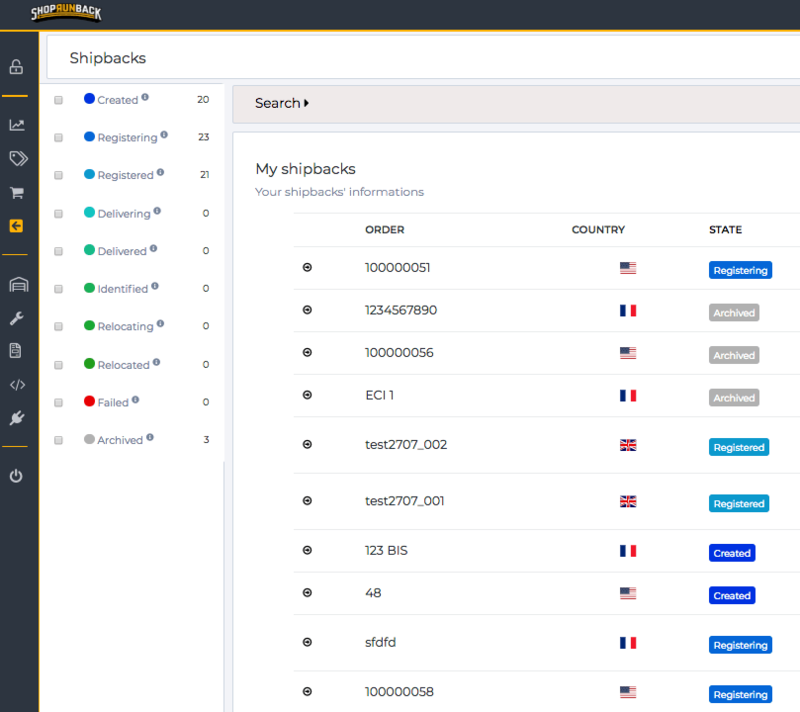 You can also, thanks to the yellow dots, identify the return method chosen by your consumer. And finally a flag immediately tells you the origin of the return. Where previously you had a drop-down menu within the main menu, you now have access to a totally dedicated menu in each section. Now you can focus on the actions you want to take without having to go back to the main menu. 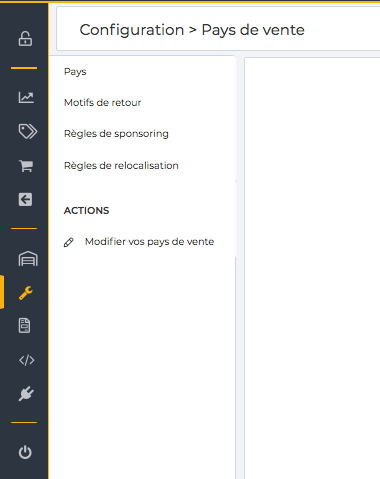 In addition, each submenu is contextualized so that the most important actions are directly accessible. For example, in the follow-up section of your returns, the submenu allows you to directly filter your returns according to their status. 4. Track your returns with the "Timeline"
Among the new features of the Dashboard, the Timeline is a BIG evolution that allows you to track in real time and in a single view each return. You find also in the top right, a complete breadcrumb that allows you through the colors to identify the current status of your return. You can also directly access to the return unique URL, the generated label or the return slip. 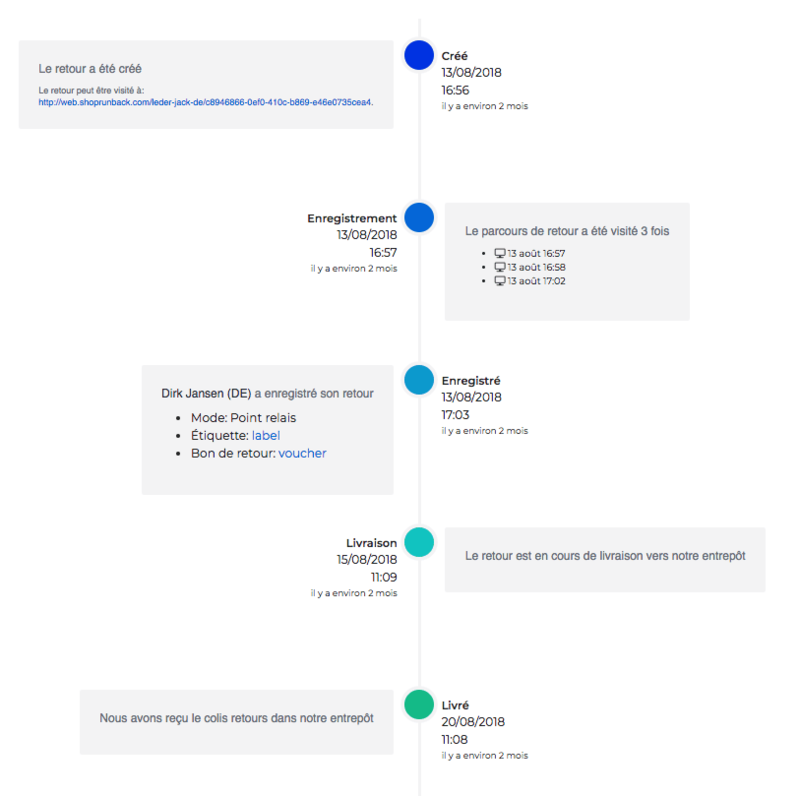 A useful timeline to carry out all the main actions that you or your customer service needs. Not only are we trying to update you regularly via this blog, but you can also now follow in realtime our change log directly in your dashboard. You can now find an alert icon at the top of your dashboard that allows you to follow these developments and access directly to our changelog to take full advantages of the new released features. We hope these new features will please and help you. Do not hesitate to leave us a message in comment. If you wish to know more about our services and software, please do not hesitate to contact us.